I wanted to share what Shannon, my friend & Tipresource.com contributor (you saw her in my Extreme Couponing episode), has as a bonus to my readers. She is here to show you how to get newspapers in the western region of the country for a fraction of the cost. or HERE for 100’s of other cities. You may also get a FREE Gift Card (Target, WalMart or Amazon.com) depending on your area and subscription. If you don’t see your newspaper listed below Go HERE for additional cities. Sign up today online…Its Private and secure, or Call Shannon at 702-592-2516. As Low As $.77 A SUNDAY! 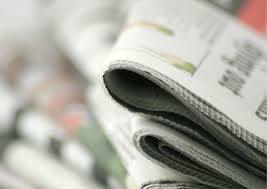 NOW…You can receive the Sac Bee for per Sunday paper! You can add Sunday only papers for $19.99/6 months. NEW Subscribers can receive 5 Sunday papers, the initial subscription is $12 for 52 weeks and $12 for each subsequent Subscription. CURRENT Subscribers: Add up to 4 Sunday papers for only $10 each for 52 weeks. Get up to 5 Sunday papers delivered each week for $18/month. Charged monthly. Subscribers can receive 5 Sunday papers. CURRENT Subscribers: Add up to 4 Sunday papers for only $19.95 for 6 months. Subscribers pay up front for a year’s subscription and can get up to 2 Salt Lake Tribune & 2 Desert Morning News delivered, for a Total of 4 Sunday papers delivered. Each Sunday paper Subscription of 52 weeks is $50 with a $6 *Gift Card for EACH subscription ordered. Get up to 4 Sunday papers delivered. 2 different packages offered Click the link below for additional ordering information. If you don’t see your newspaper listed above Go HERE for 100’s of additional cities. Hey! Do you think there is any good discounts newspapers in Des Moines, Iowa? Thanks! Is the $19.99/year SacBee Sunday Paper subscriptions still available? Hi Joelle – Yes, the $19.99 rate for SacBee is available. Click on the SacBee Link above and it will take you to the page with the discount. Thank you for your quick reply, I clicked on it and it has changed to “You are signing up for a 26 week subscription to The Sacramento Bee. You can add Sunday only papers for $19.99/6 months.” It doesn’t say a year, is there another link?